Where Should Educational Technologists Publish Their Research? Ritzhaupt, A. D., Sessums, C. D., & Johnson, M. C. (2012). Where should educational technologists publish their research? An examination of peer-reviewed journals within the field of educational technology and factors influencing publication choice. Educational Technology, 52(6), 47–56. For information on open access journals in the field of educational technology, see Ross Perkins and Patrick Lowenthal’s analysis of the top OA journals in the field [https://edtechbooks.org/-ebS]. The purpose of this study was to examine (1) the academic prestige and visibility of peer-reviewed journals within the field of educational technology, and (2) the factors influencing an individual’s choice to publish within a specific journal. Seventy-nine educational technology professionals responded to an online survey designed to address the aforementioned concerns. The authors’ results suggest that educational technology professionals generally agree that some publication venues stand out among others. In particular, Educational Technology Research and Development, British Journal of Educational Technology, and Computers & Education had the highest visibility and prestige ratings of all peer-reviewed journals within the study. Additionally, the results suggest that when one chooses to publish within a particular journal, the fit of the manuscript within the journal, the aims and intent of the journal, and the target audience are among the most important factors. Where should educational technologists publish their research articles? This is a question that is quite common among academic circles in the field of educational technology. Although this seems to be a trivial question at first glance, when one considers the number of publication outlets available (59 within this study), the pressure on faculty members to publish, and the impact of publishing on tenure and promotion, the question is no longer trivial from a faculty member’s perspective (Hardgrave & Walstrom, 1997). Given that publishing research articles plays an extremely important function for faculty members, and that tenure and promotion decisions are greatly influenced by the perceived value of publications, determining which journals to use for publication is important, especially in light of the limited knowledge of multidisciplinary tenure and promotion committees (Bray, 2003; Carr-Chellman, 2006; Elbeck & Mandernach, 2009; Hannafin, 1991; Holcomb, Bray, & Dorr, 2003). In this study, we investigated which peer-reviewed journals in the field of educational technology were recognized as valuable by educational technology professionals through an online survey. The results indicate the different ways an academic publication’s visibility, prestige, accessibility, and measurability (impact factor) affect the way educational technology professionals perceive academic publications in their field. In addition, findings show that a publication’s audience, as well as the aims and intent of the publication, influence the decision as to where educational technology professionals focus their own publication efforts. We believe such findings can provide guidance for scholars across disciplines in terms of understanding the value and impact of research in the field of educational technology. Furthermore, such findings offer emerging scholars in the field of educational technology guidance as to where they should consider publishing their own research articles. Though publishing in the field of educational technology is an important topic, very little literature has been published on the subject. In an analysis of scholarly productivity in educational technology, Hannafin (1991) had 23 faculty members within the field identify, classify, and rank leading educational technology journals. The study identified the five leading basic research journals as Educational and Communication Technology Journal (now Educational Technology Research and Development), Journal of Educational Psychology, American Educational Research Journal, Instructional Science, and the Journal of Computer-Based Instruction. In contrast, the leading applied journals in the field were the Journal of Instructional Development, Educational Technology (magazine), Journal of Performance and Instruction, Phi Delta Kappan, and TechTrends. However, this classification of basic and applied may not be a fully accurate way to categorize these publication venues. Price and Maushak (2000) conducted an e-mail survey to examine recommendations of senior faculty to doctoral students and junior faculty about publishing and to identify leading journals within the field of educational technology. Three themes that emerged from the analysis of recommendations were to work with a mentor, believe in yourself and what you are researching, and to write frequently. The analysis of the leading journals in the field revealed that Educational Technology Research and Development, Performance Improvement Quarterly, Educational Technology (magazine), Journal of Educational Computing Research, and Instructional Science were the top five journals according to the faculty surveyed. Holcomb, Bray, and Dorr (2003) examined 30 journals within the field of educational technology on academic prestige, general reading, and classroom use. The research study invited members of the Association for Educational Communications and Technology (AECT) to respond to a survey evaluating the respective publication venues within the field. The findings of the study showed the five overall top publication venues included Educational Technology Research and Development, Cognition and Instruction, Educational Technology (magazine), Journal of Research on Computing in Education (now Journal of Research on Technology in Education), and Journal of Educational Computing Research. Carr-Chellman (2006) examined the question of where successful emerging scholars are most likely to publish their research. This study considered the publication records of 17 emerging scholars (pre-tenure) from 16 universities. The emerging scholars published a total of 252 discrete papers in journals or magazines, or approximately 15 articles per scholar in the pre-tenure period. The sample of scholars most frequently published in Educational Technology Research and Development, TechTrends, Journal of Educational Computing Research, Computers in Human Behavior, and the Journal of Research on Technology in Education. The average scholar profile that emerges from these data includes 15 publications total with four or five publications in journals recognized by leaders in the field. The editorial section of the Australasian Journal of Educational Technology analyzed their peer group of journals based on the Australian Research Council’s Tiers for the Australian Ranking of Journals. Atkinson and McLoughlin (2008) divided the journals into four tiers (A*, top 5%; A, next 15%; B, next 30%; and C, bottom 50%). The leading journals according to their rankings include Computers & Education and the British Journal of Educational Technology. Those classified as A journals include the Australasian Journal of Educational Technology; Research in Learning Technology; Journal of Computer-Assisted Learning; Australian Educational Computing; Educational Technology and Society; Journal of Technology and Teacher Education; Technology, Pedagogy & Education; and Educational Technology Research and Development. Elbeck and Mandernach (2009) examined a subset of 46 journals in the field of educational technology relating specifically to online education. In their study, they used several measures, including journal popularity (as measured by the number of Websites that link to the journal Website), journal importance (as measured by Google’s page rank algorithm), and journal prestige (as measured by journal editors) to rank order the journals that are relevant to online educators. Using their classification scheme, five journals rank at the top, including in order International Review of Research in Open and Distance Learning, Journal of Asynchronous Learning Networks, eLearning Papers, Innovate: Journal of Online Education, and The American Journal of Distance Education. Outside of these publications, we were not able to identify studies that examined the journals within the field of educational technology. Some of the older studies include journals that are no longer in print or have changed names (Hannafin, 1991; Holcomb, Bray & Dorr, 2003). For instance, the Journal of Instructional Development is no longer in print and the Journal of Computing in Teacher Education has changed its name to the Journal of Digital Learning in Teacher Education. Elbeck and Mandernach (2009) largely based their classification on Web-analytics and to a lesser extent on the perceptions of professionals within the field. Atkinson and McLoughlin (2008) provide a tier system, but do not illustrate the system upon which those classifications are made. Put simply, more research is necessary to investigate publishing within the field of educational technology. What are the most academically prestigious and visible peer-reviewed publication venues in the field of educational technology? What factors influence one’s choice to publish in a journal in the field of educational technology? Seventy-nine survey respondents were recruited from three prominent educational technology listservs: the Association for Educational Communications and Technology (AECT) members’ listserv, the ITFORUM listserv, and the American Educational Research Association’s (AERA) Special Interest Group on Instructional Technology member listserv. Of the respondents, 57% were male and 43% were female. The respondents averaged 13.44 (SD = 8.30) years of experience in the field of educational technology. The position titles are shown in Table 1. As can be gleaned, 11% of respondents represented full professors, 23% represented associate professors, 30% represented assistant professors, and the remaining were visiting professors, lecturers, graduate students, or others. Those classified as other included adjunct professors, teachers, retired professors, and program chairs. Eighty-one percent of the sample came from respondents at doctoral granting universities. Though the vast majority of the respondents were from the United States, other countries were represented in the sample, including Finland, Australia, Greece, Portugal, and Oman. Table 1. Position titles of survey respondents. This research necessitated the development of a survey that would (1) determine the most academically prestigious and visible publication venues in the field of educational technology, and (2) determine the most important factors relating to the choice of publishing in a journal in the field of educational technology. The survey was split into three sections: (1) background information, (2) factors relating to publication choice, and (3) journals in the field. The background information section included variables like gender, years in the field, academic classification, ethnicity, and research interests. The research team compiled the factors relating to publication choice based on experience and the literature (Bray, 2003; Carr-Chellman, 2006; Elbeck & Mandernach, 2009; Hannafin, 1991; Holcomb, Bray, & Dorr, 2003; Price & Maushak, 2000). After interviewing three educational technology faculty members, the factors were refined. The final list included 23 unique items. The scale was a semantic differential from (1) not important to (5) very important. This section had more than acceptable internal consistency reliability for these data at α = .82. The journals within the field section of the survey were compiled in four steps. First, the journals listed in the study by Holcomb, Bray, and Dorr (2003) were included. Second, we searched the Internet for related educational technology journals that were not included within the list. Third, we used the Cabell (Cabell, 2007) listing of educational technology journals to supplement our list. Finally, to assure the journals were peer-reviewed, we cross referenced all journals using UlrichsWeb Global Serials Directory (2010) or the journal Website. The final list included 59 unique journals related to the field of educational technology. The scale ranged from 1 to 10 with 1 = Never heard of journal, 2 = Low academic prestige, and 10 = High academic prestige. The section demonstrated acceptable internal consistency reliability with a Cronbach alpha at α = .96. The final complete survey was reviewed by four educational technology faculty members for clarity and usability and was deemed acceptable for use. The instrument was made accessible in a Web-based format using LimeSurvey. The researchers made arrangements to send the survey to three educational technology listservs: the AECT members’ listserv, the ITFORUM listserv, and the AERA Special Interest Group on Instructional Technology member listserv. Because the survey was sent to three different listservs with cross membership, exact response rates cannot be calculated. The data were collected in November of 2010 and a three week window was left open for respondents to complete the survey. Respondents of the survey were informed that the purpose of the research was: (1) to advance the field of educational technology by determining the most academically prestigious and visible publication venues in the field, and (2) to determine the most important factors relating to the choice of publishing in a journal in the field of educational technology. Finally, the data were analyzed using descriptive statistics. Our first research question was “What are the most academically prestigious and visible publication venues in the field of educational technology?” We answer this question by evaluating several different criteria related to journals within the field of educational technology. These criteria include the journal visibility, journal prestige, open access, impact factor scores, and the acceptance rates of the journals. An important consideration is how well-recognized a journal is by members within a field. The most visible journals (those journals recognized by professionals within the field) are shown in Table 2. As can be gleaned, the most well-recognized journal within the field is Educational Technology Research and Development, followed by British Journal of Educational Technology, and Computers & Education. According to Appendix A, the least recognized journals within the field include Informing Science, Journal of Interactive Instruction Development, and Journal of Instruction Delivery Systems. Table 2. Top 10 journals by journal visibility. How highly regarded is a journal according to the perceptions of professionals within a field? The perceived academic prestige of a journal is an important consideration when evaluating journals. Our results, shown in Table 3,ordered by the mean responses to the scale on the survey, illustrate that Educational Technology Research and Development, British Journal of Educational Technology, and Computers & Education are the highest ranking journals in terms of academic prestige. According to Appendix A, the least prestigious journals include Informing Science, Journal of Instruction Delivery Systems, and Journal of Educators Online. Table 3. Top 10 journals by journal prestige. Open access journals have grown in popularity since the emergence of the World Wide Web. Several of the journals in the field of educational technology are now open access. Appendix A shows 22 open access journals related to the field of educational technology. Notably, two of the top ten journals as measured by journal prestige are open access journals: Journal of Distance Education and Journal of Educational Technology and Society. In general, however, it would appear that traditional closed access journals command a higher level of prestige than do open access journals in the field of educational technology. Acceptance rates are also an important consideration when evaluating a journal. We have compiled the acceptance rates of journals listed in Cabell’s directory (Cabell, 2002a; Cabell, 2002b; Cabell, 2007). The results are shown in Appendix A. It appears that the lowest acceptance rates for our journals are somewhere in the range of 11–20%. These journals include Association of the Advancement of Computing in Education Journal, British Journal of Educational Technology, Cognition and Instruction, Contemporary Educational Psychology, Educational Technology Research and Development, Informing Science, International Journal on E-Learning, International Review of Research in Open and Distance Learning, Journal of Educational Computing Research, Journal of Educational Multimedia and Hypermedia, Journal of Educational Technology and Society, Journal of Interactive Online Learning, Journal of Research on Technology in Education, and The American Journal of Distance Education. Though impact factor scores have been critiqued within the domain of education (Togia & Tsigilis, 2006), they still remain an important factor when evaluating the relative importance of a journal. The problem within the field of educational technology is that only a handful of our journals have impact scores calculated. Out of the 59 journals examined within this study, only 14 have impact factor scores. These journals and their 2010 impact factor scores are shown in Table 4 ordered by impact factor score. As can be gleaned, Computers & Education and British Journal of Educational Technology have the highest impact factor scores among the impact factor scored journals. Notably, the median impact factor for the 184 journals in the subject category “Education & Educational Research” is 0.649 (Web of Knowledge, 2012). All the journals that we categorized as educational technology are well above that score, with the exception of the Journal of Educational Computing Research. Table 4. Journals with impact factor scores. Survey respondents also had the option of providing additional journals in a free-form response. Other journals included The Journal of the Learning Sciences; Educational Technology (magazine); International Journal of Computer-Supported Collaborative Learning; Journal of Science Education and Technology; Educational Researcher; IEEE Spectrum; Journal of Computers in Mathematics and Science Teaching; Technology, Pedagogy, and Education; Learning and Leading with Technology; and Journal of Learning Design. Our second research question centers on “What factors influence one’s choice to publish in a journal in the field of educational technology?” The decision to publish in a specific journal in educational technology might be influenced by several factors. These factors are illustrated in Table 5 along with their relative importance as rated by individuals who responded to the survey. The items are ordered by the mean responses to the scale on the survey. According to the respondents, the four most important factors to consider when publishing in a journal include the fit of the manuscript in the journal, the aims and intent of the journal, the target audience of the journal, and the language of the journal. The least important three factors include the publication frequency of the journal, the publisher of the journal, and the price of the journal. Table 5. Importance of factors relating to choice of publishing in a journal. Survey respondents also had the option of providing additional factors in a free-form response. Other factors included whether or not the journal is listed in Cabell’s directories, the quality of feedback provided in a timely manner by the journal, journal’s citation style requirements (e.g., APA), the impact of journal on practice, the journal’s credibility to the field, and word length or submission requirements. Interpretation of our results must be viewed within the limitations of this study. This study was based on an online survey sent to three leading educational technology listservs. Because of the potential for cross-listings, response rates could not be calculated. The survey was designed from a compilation of journals that may not represent all peer-reviewed journals within the field. For example, we failed to include The Journal of the Learning Sciences and Journal of Computers in Mathematics and Science Teaching, which are arguably leading publications in the field. Also, our sample only included peer-reviewed publications, so respectable publication outlets like Educational Technologymagazine were not included by design. This limits the generalizability of the results. Also, our sample represents primarily university faculty members, and thus, does not represent the practitioners within our field. Finally, the results are limited to the expert judgment and candor of the respondents. By examining the levels of exposure (visibility), respect (prestige), openness (accessibility), and authority (measurability) academic publications offer their readership, survey results suggest that within a community of interest like educational technology members generally agree that there are indeed certain publications that stand out among others. In particular, Educational Technology Research and Development, British Journal of Educational Technology, and Computers & Education had the highest visibility and prestige ratings and also have impact factor scores. Reasons certain publications rate more favorably still requires further investigation; however, it might be useful to see if the factors considered important by scholars seeking to publish their own works may be connected to their choice of journal. Our results also provide some helpful contextual information about what factors influence an individual to publish in a particular journal. Respondents suggest that factors like the fit of the manuscript in the journal, the aims and intent of the journal, the target audience of the journal, the language of the journal, and the speed of the peer-review process of the journal are all important factors. Much less important to the respondents was the price of the journal, the publisher of the journal, and the publication frequency of the journal. These results suggest that several factors influence one’s choice to publish in a journal. An academic publication’s impact factor score provides reliable evidence marking a scholar’s work in his or her field. Yet not all academic journals within the educational technology field are currently indexed. For example, the Journal of Computing in Higher Education ranked relatively high in prestige and visibility, yet the journal is not presently indexed by Web of Knowledge (2012). The indexing process itself requires time and money and will eventually catch up with a majority of educational technology publications. For those that are indexed, such ratings are clearly useful for tenure and promotion purposes. However, relying solely on impact data does not clearly show the complete influence of a scholar’s work. As such, the results generated from this study offer another method for assessing an educational technology academic publication’s reputation among its peers. For scholars attempting to better understand the value of particular publications in the field of educational technology, such findings provide a gauge for better assessing the broader impact an educational technology scholar’s work has in the field. This is important for those educational technology scholars seeking tenure in departments and colleges where educational technology scholarship may not be well understood. Survey findings also offer the publishers of educational technology journals feedback in terms of how their market perceives their products. Such information is still useful for an educational technology publication’s editorial and marketing departments. An area of further research includes a deeper investigation into the role openness plays in an academic publication’s perceived value to the field. Given the growth and adoption of new digital technologies and open educational resources, open academic journals provide easy access and broader dissemination opportunities for scholars in all fields of research. Our results suggest that open access journals can still be ranked among the most prestigious (Journal of Distance Education and Journal of Educational Technology and Society). However, more empirical research is necessary to confirm our findings. The article lists many places that you can publish your research. Find a journal/organization and do a little research online. What is the general mission of the organization? What is the procedure to get published? Bray, K. E. (2003). Perceived value of academic journals for academic prestige, general reading, and classroom use: A study of journals in educational and instructional technology (unpublished doctoral dissertation). University of North Texas, Denton, TX. Carr-Chellman, A. A. (2006). Where do educational technologists really publish? An examination of successful emerging scholars’ publication outlets. British Journal of Educational Technology, 37(1), 5–15. Cabell, D. W. E. (Ed.). (2007). Cabell’s directory of publishing opportunities in educational technology and library science. Beaumont, TX: Cabell Pub. Co.
Cabell, D. W. E., & English, D. L. (2002a). Cabell’s directory of publishing opportunities in educational curriculum and methods. Beaumont, TX: Cabell Pub. Co.
Cabell, D. W. E., & English, D. L. (2002b). Cabell’s directory of publishing opportunities in educational psychology and administration. Beaumont, TX: Cabell Pub. Co.
Elbeck, M,, & Mandernach, B. J. (2009). Journals for computer-mediated learning: Publications of value for the online educator. International Review of Research in Open and Distance Learning, 10(3); http://www.irrodl.org/index.php/irrodl/article/viewArticle/676/1268 . Hannafin, K. M. (1991). An analysis of scholarly productivity of instructional technology faculty. Educational Technology Research and Development, 39(2), 39–42. Hardgrave, B, C., & Walstrom, K. A. (1997). Forums for MIS scholars. Communications of the ACM, 40(11), 119–124. Holcomb, T. L., Bray, K. E., & Dorr, D. L. (2003). Publications in educational/instructional technology: Perceived values for ed tech professionals. Educational Technology, 43(3), 53–57. Price, R. V., & Maushak, N. J. (2000). Publishing in the field of educational technology: Getting started. Educational Technology, 40(4), 47–52. Togia, A., & Tsigilis, N. (2006). Impact factor and education journals: A critical examination and analysis. International Journal of Educational Research, 45(6), 362–379. Ulrich Web. (2010). Ulrich’s Web: Global serials directory; http://.www.ulrichsWeb.com/ulrichsWeb/ . Web of Knowledge (2012). Journal citation report (JCR); http://admin-apps.webofknowledge. com/JCR/JCR?PointOfEntry=Home . To learn more about what journal reviewers are looking for as they review your manuscript, see this series of videos from the Journal of the Learning Sciences [https://edtechbooks.org/-RaK]. Albert D. Ritzhaupt is Assistant Professor of Educational Technology at the University of Florida. His primary research areas focus on the development of technology-enhanced instruction and technology integration in education. 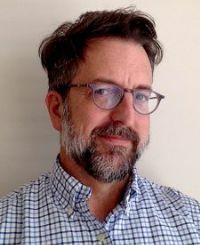 His publications have appeared in multiple venues, including the Journal of Computing in Higher Education, Computers & Education, Journal of Research on Technology in Education, Behavior Research Methods, Journal of Educational Comput­ing Research, and Computers in Human Behavior (e-mail: aritzhaupt@gmail.com). Christopher D. Sessums is current­ly Chief Learning Officer (CLO) for xlm-design, located in Berkeley, California. He earned his doctorate in educational technology and teacher education from the University of Florida and has worked as a higher education administrator at the University of California, Berkeley, and the University of Florida, Gainesville (e-mail: csessums@gmail.com). Margeaux C. Johnson is a Science and Technology Librarian at the University of Florida, where she coordinates information literacy instruc­tion for the sciences and integrates technology into library learning environments. Her research interests include Alternate Reality Gaming, transmedia navigation, and new media litera­cies. 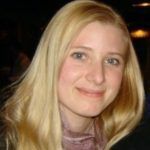 She is currently a Co-PI on the NSF ethics in education grant “Gaming Against Plagiarism” and a member of the NIH VIVO Collaboration (e-mail: margeaux@ufl.edu).